Illamasqua, more accessible than ever. It seems you can’t blink at the moment without seeing cult British brand Illamasqua pop up at a new outlet! First ASOS and now one of my other favourite beauty sites… BeautyBay! 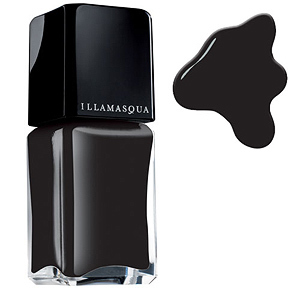 To celebrate the launch of Illamasqua at BeautyBay.com, they’re giving all customers a free Boosh Nail Polish when they buy any two products from the range. Illamasqua announced today that they will be opening their first flagship store on Beak street in central London which will include the West End’s first ever school of make-up art. There’s 25% off all Illamasqua products at Debenhams right now (until 2nd August). Thanks for the mention – we’ve already sold out of the Free Nail Polish, but fingers crossed we’ll have another offer on in the next few months! I really just wanted to let silhoutte Screams know that we post to Australia, so she can still get her Illamasqua fix! Hope that helps.. Inexpensive Beauty Find: Colour block your bathroom with Fred Butler! WINNER: set of Boots 17 MAGNETIC Nail Polishes!